Defend your inner health, immune system and body with our DEFENSE pack! Defend your inner health, immune system and body with our WINTER DEFENSE pack! Turmeric – especially curcumin its chemical compound – contains potent antiviral, anti-fungal, anti-bacterial properties and is a powerful antioxidant that can fight free radicals which damage the immune system. Researchers are continuously trying to find new ways to contain a flu pandemic and last season’s flu was the worst we have seen for several years. One cause of infections like flu is a weakened immune system more susceptible to infections. Therefore, it is important to keep your immune system strong. Did you know that 100grams of Turmeric contains 53% dietary fibre, 138% Vitamin B6, 43% Vitamin C, 21% Vitamin E, 54% potassium, 517% Iron, 340% manganese, 11 % Vitamin K and 40% Zinc of the Recommended daily allowance, RDA. Did you also know that Turmeric has 0% Cholesterol? All these properties mean that turmeric could help in treating the flu. 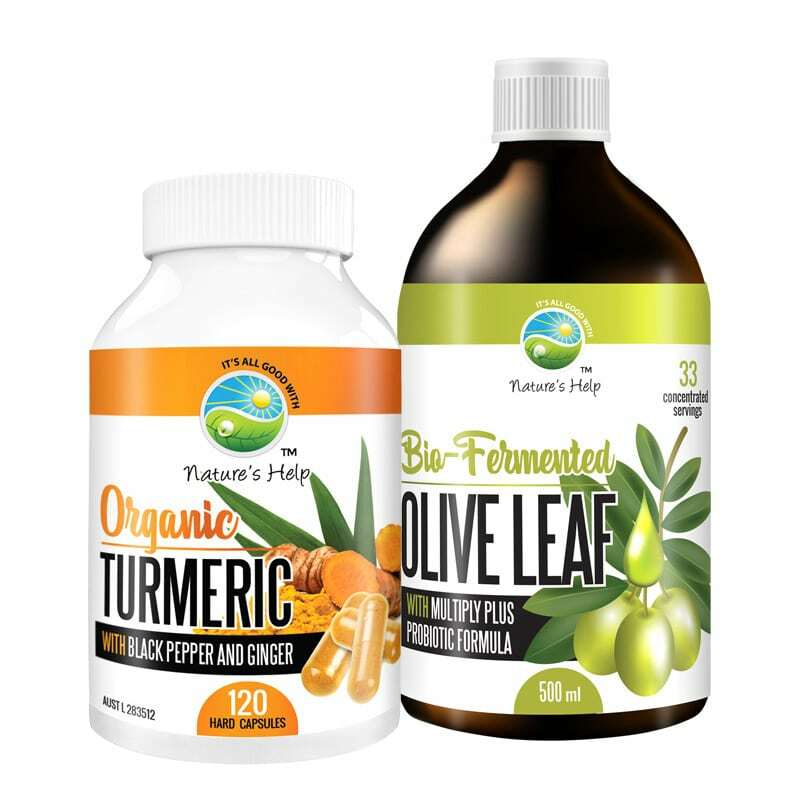 Nature’s Help Turmeric capsules and the Bio-Fermented Olive Leaf Probiotic make this combination a great option for the whole family to protect your bodies and keep your immune system strong to fight off flu-like symptoms. 2. Bio-Fermented Olive Leaf Extract Probiotic Liquid. Our family loves the Olive Leaf liquid! It tastes great so the kids don’t even know they’re having something healthy which I love. I purchased this last winter when our whole household had the flu and since we’ve been taking it regularly, there have been no nasties which is great!